Our founder, Keshavlal Bodani, was intrigued by the mystique of perfume. What was that special something that made it a classic? In 1955, he founded the business, to create fine fragrance with it’s own unique essence. When his son Anil Bodani took over the reins, he realised that unique scents and tastes were the next big wave in the FMCG industry. So he spearheaded a transition into fragrances and flavours, creating product after product, which elicited that much sought after “Oh Wow!” reaction. 1955 Mr. Keshavlal Bodani founded Oriental Aromatics (Fragrance and Flavours business) in the year 1955. • Our first Synthetic Camphor plant. 1964 The first Synthetic Camphor plant with technology from DuPont of USA was established, in Bareilly, Uttar Pradesh. 1974From the very beginning, the company has focused on in-house research and development. The Malti-Chem Research Centre was established in 1974 to carry out extensive work on Terpene chemistry. • Establishment of our Flavour Division. • Setting up of our Export-oriented facility. • State-of-the-art manufacturing facility, established at Nandesari, Baroda. • Oriental Aromatics Ltd. acquires a controlling stake of Camphor & Allied Products. 2008In August 2008, a controlling stake of 57.66% was bought over by the promoters, Oriental Aromatics Ltd (OAL); a key customer of Camphor & Allied Products and a creator and manufacturer of flavour and fragrance located in Mumbai, India and became its holding Company. • Incorporation of PT Oriental Aromatics, Indonesia. 2012PT Oriental Aromatics was incorporated in Indonesia, as the company's overseas subsidiary. • State-of-the-art manufacturing and R & D facility, Ambernath. 2014This manufacturing and R & D facility was established in Ambernath, Maharashtra with an installed capacity for Flavours and Fragrances, to the tune of 6,000 tons per annum. • Acquisition of Arofine Chemical Industries. 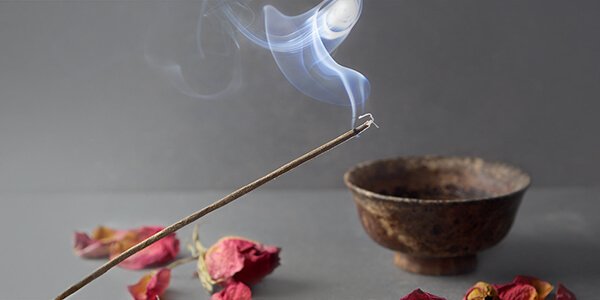 2015In 2015, the company acquired two Indian aroma chemical manufacturers - Arofine Chemical Industries and Vaishnavi Chemicals Private Ltd.
• Setting up of the Synthesis Laboratory. 2016The company has set up a one-of-its-kind synthesis laboratory in Andheri, Mumbai. This facility will focus on synthesizing speciality & generic aroma chemicals. • Amalgamation of Oriental Aromatics Limited with Camphor and Allied Products Ltd.
2017In April, 2017 the equity shareholders of Camphor and Allied Products Ltd. (CAPL) approved a scheme of arrangement for amalgamation of Oriental Aromatics Limited with Camphor and Allied Products Ltd. in order to create a larger backward integrated company. The Scheme was approved by Hon’ble National Company Law Tribunal on November 16, 2017. • Name of the company changed from Camphor and Allied Products Limited to Oriental Aromatics Limited. 2018The name of the company changed from Camphor and Allied Products Limited to Oriental Aromatics Limited, pursuant to the Scheme of Amalgamation as approved by Hon’ble NCLT and Certificate of Incorporation dated February 26, 2018, issued by the Registrar of Companies, pursuant to the change of name. Mr. Keshavlal Bodani founded Oriental Aromatics (Fragrance and Flavours business) in the year 1955. The first Synthetic Camphor plant with technology from DuPont of USA was established, in Bareilly, Uttar Pradesh. From the very beginning, the company has focused on in-house research and development. The Malti-Chem Research Centre was established in 1974 to carry out extensive work on Terpene chemistry. In August 2008, a controlling stake of 57.66% was bought over by the promoters, Oriental Aromatics Ltd (OAL); a key customer of Camphor & Allied Products and a creator and manufacturer of flavour and fragrance located in Mumbai, India and became its holding Company. PT Oriental Aromatics was incorporated in Indonesia, as the company's overseas subsidiary. This manufacturing and R & D facility was established in Ambernath, Maharashtra with an installed capacity for Flavours and Fragrances, to the tune of 6,000 tons per annum. In 2015, the company acquired two Indian aroma chemical manufacturers - Arofine Chemical Industries and Vaishnavi Chemicals Private Ltd. The company has set up a one-of-its-kind synthesis laboratory in Andheri, Mumbai. This facility will focus on synthesizing speciality & generic aroma chemicals. In April, 2017 the equity shareholders of Camphor and Allied Products Ltd. (CAPL) approved a scheme of arrangement for amalgamation of Oriental Aromatics Limited with Camphor and Allied Products Ltd. in order to create a larger backward integrated company. The Scheme was approved by Hon’ble National Company Law Tribunal on November 16, 2017. The name of the company changed from Camphor and Allied Products Limited to Oriental Aromatics Limited, pursuant to the Scheme of Amalgamation as approved by Hon’ble NCLT and Certificate of Incorporation dated February 26, 2018, issued by the Registrar of Companies, pursuant to the change of name. We are headquartered in Mumbai. Our senior management, sales, and operations teams are based here. In 2008, we realised that the rapidly growing market for our products in Asia needed more focus. We set up a regional company called , in Jakarta, which has its own extensive library of products, a well-trained team of evaluators, and a strong sales force who is familiar with the ASEAN market. 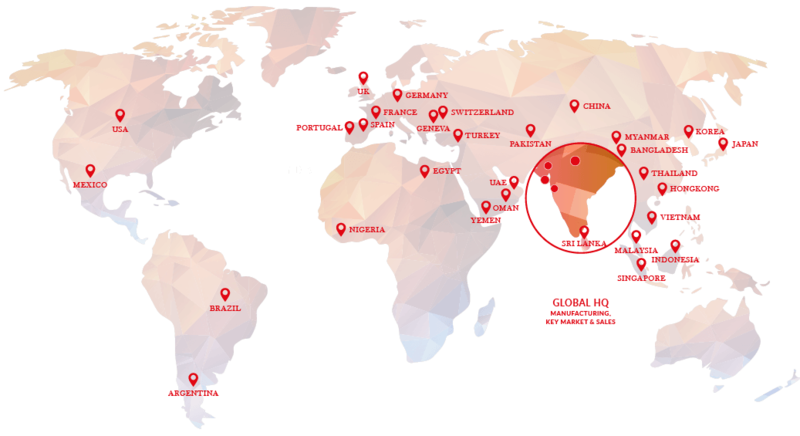 Our customers are located all over the world and we have gained a strong foothold in North America, Europe and the Middle East. We have two centers that are fully focussed on research in Mumbai and Ambernath, in the state of Maharashtra in western India. Our Ambernath facility focuses on flavours and fragrances, while our Mumbai facility focuses on Aroma Chemicals. We are one of only ten completely integrated flavour, fragrance and aroma chemical manufacturing companies in the world today. Our three manufacturing centers are spread across the west and north of India, in Ambernath in Maharashtra, Baroda in Gujarat and Bareilly in Uttar Pradesh.